This is our newest 20 lb. 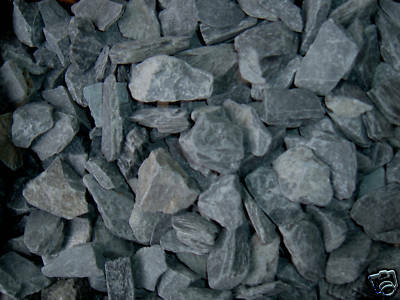 lot of coarse black slate aquarium gravel for your aquarium or reptile. We buy this directly from the source and are able to offer them at a substantial saving. The sizes average 1-2" long and are easy to keep clean. They are a dark charcoal color when under water. Thanks for looking.